Listen up bag boy, plastic is not okay | Do the twisted. ← You call this a trim??? Plastic bags seem to lie in grocery stores hands. Stores should take a more proactive approach and help Americans make the switch by partnering with a company like ECOBAGS and sell reusable bags at the checkout counter. But trendy, simple reusable bags. Not bags with big fat logos printed on them like I discussed earlier this year. That way, we can use reusable bags everywhere we go, and lessen the amount of plastic bags thrown away each year, which for us is roughly 92 billion. Those bags either end up in the dump or polluting our environment, causing the Grim Reaper to visit 100,000 marine animals and 1 million mammals and birds each year. 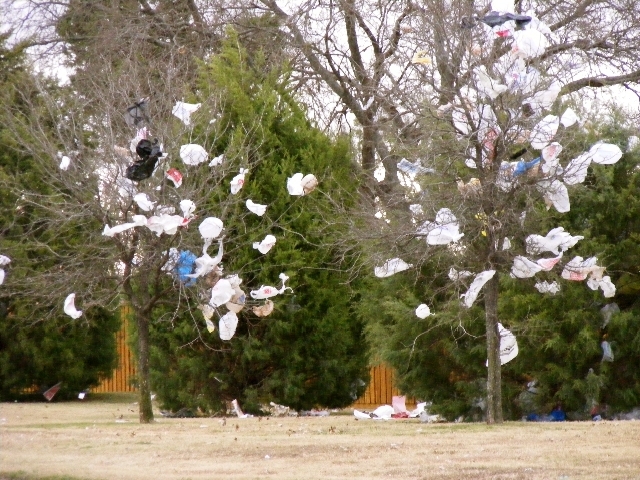 Oddly enough, whenever I see plastic bags adorning the environment like ornaments, it reminds me of the scene from American Beauty, where Ricky Fitts says the plastic bag dancing in the wind is the most beautiful thing he has ever filmed. One of my favorite movies and a wonderful scene, but I guess the kid didn’t get out enough to see sunsets or walk through the forest to see more beautiful things than polyethylene. Don’t be like Ricky. Stop bags from floating in the air. 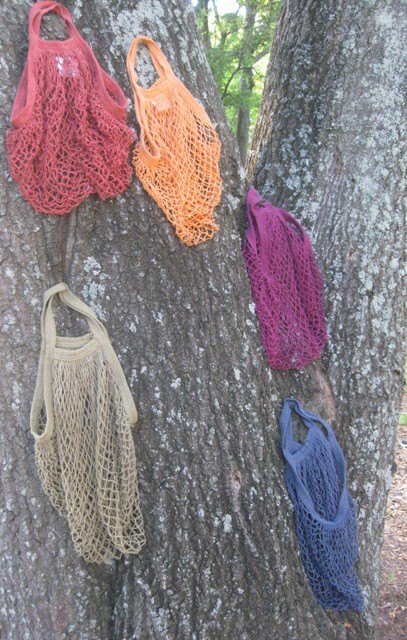 Recycle them at your local grocery store or pick up some ECOBAGS today.